I can picture this elegant scene unfolding; I can visualize those footprints penning that ‘soft-footed poem.’ Use these summertime experiences to help enhance poetry in your own gardens - the humble beginnings of your own design. Learn something from every creature you encounter in your summertime jaunts. When you go back to your own outdoor space, enhance your habitat. Create organically and make whatever size space that is yours a space that welcomes nature’s poetry. 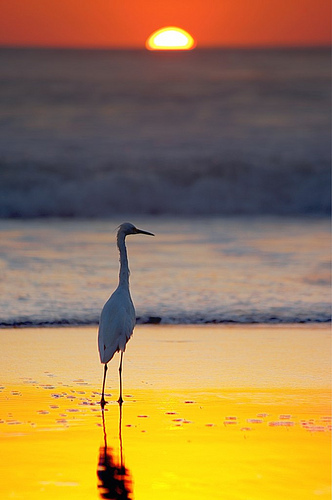 Images of White Heron from the Internet – amazing image!